The Komodo dragon can reach the weight around 166 kilogram or 366 pounds. The weight can reach 3.13 meter. It is considered as the largest living lizard in the world. The hunting strategy of Komodo dragon lies on the power and stealth. This animal has a good speed when running. It can reach the average speed of 20 kph or 13 mph. 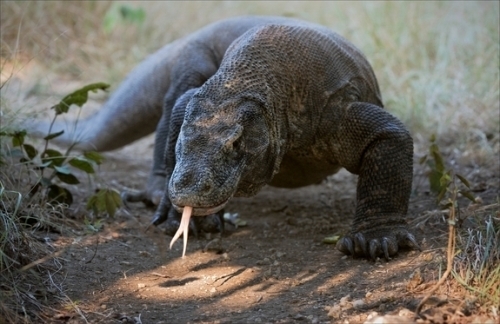 Komodo dragon likes to eat goat, boar or deer. They will wait for the prey to come by staying on one spot or area in a long time. Monitoring the prey is the main tactic used by Komodo dragons when they want to hunt a food. They can see the object located 300 meter or 985 feet away. However, Komodo dragons do not have a good eye visibility in the dim situation. But their eyes can differentiate colors. The hearing range of Komodo dragon is poor. The hearing sense cannot cover the high pitched and low pitched scream. The primary food detector that Komodo dragons have is located on the sense of smell. They can identify the odor of a snake, deer or boar. The yellow forked tongue is used by Komodo dragons to identify the aid. If the wind is right Komodo dragons can detect the odor of a certain animal 2.5 miles away. If you want to find Komodo dragon, you can see them distributed on various volcanic Indonesian islands. They spread in Flores, padar and Rintja. 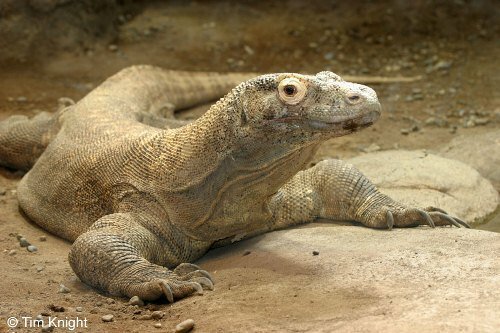 If Komodo dragons live in a zoo, they will eat chicks, rodents and rabbits. 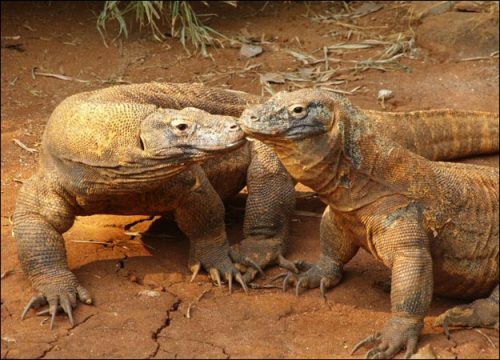 It is a bit hard for the people to differentiate the sexes of male and female komodo even though the female one is bigger that it’s male counterpart. 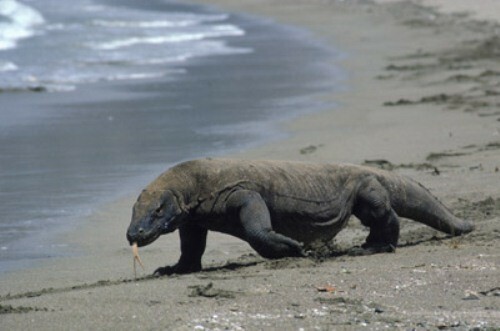 The mating season of komodo occurs between May and August. To get a female for a mating season, the dominant males should be involved in a ritual combat. To take over the opponent, they will use the tail to support the body and foreleg to take other Komodo dragons down. What do you think on facts about Komodo dragon?